Most Usable Mounting for Educators! A globe is the best tool available for teaching geography. Unfortunately, most globe mountings only allow a student to locate places. The Horizon Ring Mounting allows a student to demonstrate distortion, find the shortest distance between two locations, and much more. 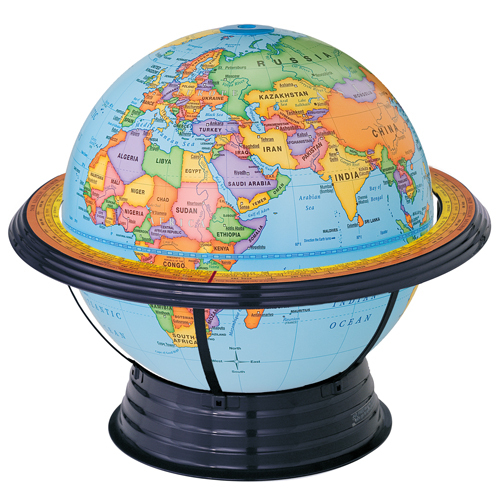 For hands-on teachers, this globe is a must. This plastic globe matches the Discovery Maps. Bright colors. Excellent readability.